Sharmin Abbasi was born in 1991 following a normal delivery. After three days of her birth she had fever and on examination doctors found her with Athetoid type of Cerebral Palsy. Her parents did not know much about it and were visiting various doctors for her treatment. Then they heard about CRP and brought her here. Sharmin was admitted to the paediatric unit in 1996 and joined the 15 days special treatment and rehabilitation programme with her mother. CRP’s multi-disciplinary team after assessment found that she had involuntary movements of the arms and legs and also had a speech problem. So, she was advised to come for follow up visits regularly after that. After receiving physiotherapy, occupational therapy and speech and language therapy for a certain time her condition improved a lot. Sharmin was admitted to the William and Marie Taylor Inclusive School of CRP in 1999 in class three after basic education at home. After the primary education at CRP’s school she struggled to enroll in a local school for secondary education. No school agreed to admit her because of her disability. However, in 2002 CRP helped her to enroll in a Government high school in her village through proper advocacy and awareness. In 2008 Sharmin sat for her secondary school certificate examination with the help of a writer provided by CRP. After her successful passing of the exam she wanted to get admitted in Jahangirnagar University College for completing her higher secondary education. Again she found it difficult to be admitted in the college due to her disabilities. Once again CRP not only had to help her to get admission but also had to fight against the prejudice surrounding her disability. 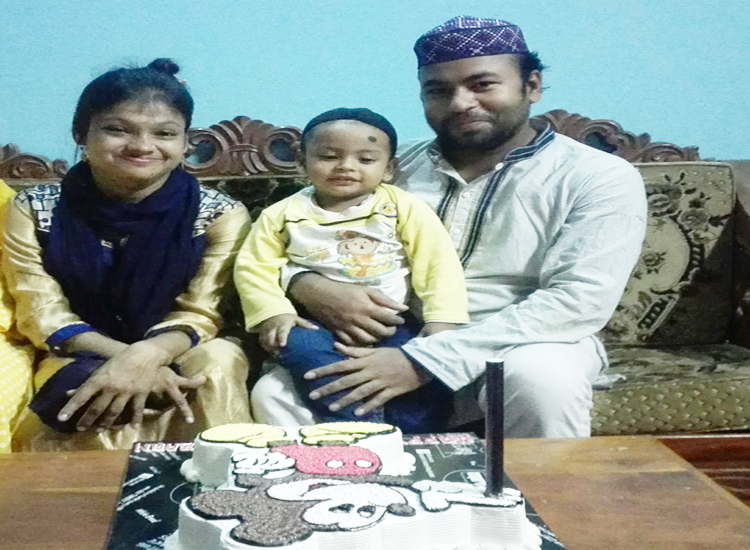 After finishing her higher secondary education she got admitted to the Jahangirnagar University for her Bachelor’s Degree. With the help of CRP and Physically Challenged Development Foundation (PDF) Sharmin obtained her Bachelors and Masters Degree in History. In 2015 she married a businessman and gave birth to a healthy son in the next year. Her husband is very supportive and loves her a lot. Sharmin found a job as the Office Assistant at the Jahangirnagar University in 2018. Her husband says she is a wonderful mother and a lovely wife.